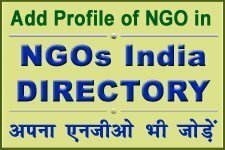 If you want to involve yourself in social service then you can do it without registering an NGO. To register, setup, run and manage NGO is a entrepreneurial task. Serving the mankind and working for its welfare can be accomplished in many ways. It doesn’t require setting up a nonprofit organisation which in itself is a complicated task that is commonly underestimated. You might be tempted to start a new nonprofit, but before that consider one of the many other ways of applying your passion for a cause. You might actually end up deciding that another nonprofit is not at all needed and you might do more good in some other way. 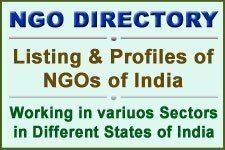 If you do not want to work by setting up and registering an NGO you can work without forming it. So there are alternatives available to convert your social service spirit. People thinking about starting a nonprofit usually have more passion for their motive than the paperwork. It is thus wise for them to get an understanding of the alternatives to incorporating a Non Profit Organisation. The obligations and requirements of starting a NGO require substantial amount of time and money which can pose to be an obstacle in serving people, creating art, or promoting a cause. This is why many nonprofits formed with high hopes never get off the ground. Investing time on the front end to determine the level of interest and availability of funds can help you better understand whether a new organisation is needed. Join an existing effort that is doing something similar to what you have in mind. Collect information about the nonprofits already active in the same field and geographic area. Consider joining their group’s board, or taking a job or as a volunteer. The experience with an existing nonprofit shall benefit you immensely later when you decide to start your own group by helping you hone your ideas and learn its realistic implacability rather than just idealistic. Many large nonprofit organisations extend their reach through chapters or affiliates. They are somewhat like a franchise in the business world sharing the main organisation’s mission, name and trademark. If there is a national or regional nonprofit doing the same work you are interested in, check out the scope for its affiliation in your area. Thus, you can start a local chapter of a national or regional nonprofit organisation. Create a special programme for an existing effort by first going through the list of nonprofits already active in the same area. Then identify the three most compatible ones and meet them to explore the opportunities and scope of creating a special project/ initiative. Negotiate your involvement. You may have ideas that they would welcome, including resources that may be available to finance the new undertaking. Your activity could be a sponsored project with a level of independence, but without the need for separate books, government reporting and boards and committees. You can put together an unincorporated association in order to fulfill your mission objectives and goals without seeking tax-exempt status. Not every charitable organisation is incorporated and registered. Many small groups that have lower incomes do just this. If your effort will be local and small, consider remaining an unincorporated association — have meetings and activities but skip the ongoing reporting requirements. Unincorporated associations can operate as a nonprofit; however, donations are not tax-deductible. However, the only shortfall is that your donors won’t get income tax deductions on their donated amount, and your group might have to pay taxes as well on purchases. In case your charitable goal is limited or temporary, maintaining an unincorporated association may be the way to go. You may undertake risk to board members and founders by not incorporating the organisation because by incorporating, the organisation becomes a legal entity and can only be liable for the assets of the organisation. An incident involving an unincorporated organisation may put personal assets of board members, volunteers, or others, at risk. You can seek a fiscal sponsorship instead of becoming a tax-exempt organisation yourself. It is a way to receive tax-deductible contributions by using the tax-exempt status of another organisation as an umbrella. Fly under the cover of an existing nonprofit organisation so that you can accept donations and apply for grants before being registered as an organisation with tax-exempt status. Fiscal sponsorship is a process in which an organisation considering such thing needs to first identify several potential sponsors whose mission is compatible with theirs. Then work with each of these to find the best of the lot that’s syncs with your working style, mission and location. Both the parties must consult legal professionals to safeguard their interests in the sponsorship agreement. Fiscal sponsorship is often used while a nonprofit organisation is getting organised, or for a single project. Fiscal sponsors often provide more than the use of their tax-exempt status. They cover a lot of the back office expenditures you’ll need as you set up shop. They often co-locate, provide accounting and administrative services, and strategic planning guidance. The sponsored organisation will pay a fee to the sponsor for their services, generally around 10 percent of the organisation’s revenues. Explore fiscal sponsorship first if you are considering creation of a group to finance activities, or plan to work on a limited-time project, or want to test a programme idea first. 6. Form or Join a Giving Circle. To channelise and amplify your individual philanthropic impulse you can form a join a Giving circle that is rapidly becoming very popular. They can be informal and small, like a neighborly potluck, with a few people pooling their money and giving it to a chosen charity. Or they can be highly organised, requiring large amount of contributions and a commitment for many years. 7. Set Up a Donor-Advised Fund. You can set up a donor-advised fund (DAFs) with relatively modest resources. DAFs are mini-foundations without any hassle. Donor-advised funds can be set up with as little as Rs3, 00,000. You can then contribute to the charities of your choice through the fund. Many charities even have a DAF button on their sites for your donation. 8. Become a Social Entrepreneur. You can become a social entrepreneur by undertaking a for-profit social endeavor to accomplish your social goals, or set up a small business with the goal of contributing some or all profits to a charitable cause. A traditional nonprofit is not the only business structure that can be set up to do some good. Yes, you can be an organiser, marshaling the help of many people to aid the causes you care about. Do it all online and magnify your efforts many times over. Peer-to-Peer fundraising through social media is immensely popular, and most charities provide lots of support for their best fan/fundraisers. If you’ve ever participated in a charity run or walk and raised funds from your friends, then you have already done this type of work. Pick your cause, check out the website for how to join in, and get started. If you love social media, this would be an excellent choice.